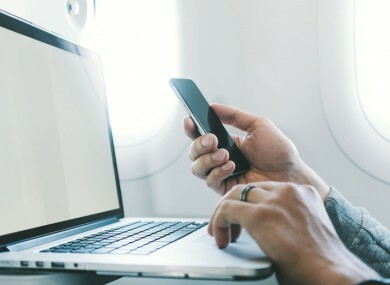 THE NEW US and UK ban on large electronic devices in the cabins of flights from certain airports has come in as part of a “substantiated” and “credible” threat from the Islamic State group, according to sources quotes by ABC News. Fresh intelligence had indicated that IS was in the process of developing methods to smuggle electronics loaded with explosives onto a US-bound flight. The ban on items such as laptops, tablets, e-readers, cameras and electronic devices larger than a smartphone, was announced yesterday with airports in Morocco, Turkey, Egypt, Saudi Arabia and United Arab Emirates among those affected. The US has given nine airlines from eight countries until the weekend to tell travelers to America to pack these devices in their hold luggage. No US carriers are affected, but the ban hits passengers on approximately 50 flights per day from the busiest hubs in the Arab world and the three Gulf carriers that recently emerged as giants: Emirates, Etihad and Qatar Airways. Eric Swalwell, from the US House Intelligence Committee, told ABC News: “We know that our adversaries, terrorist groups in the United States and outside the United States, seek to bring down a US-bound airliner. That’s one of their highest value targets. And we’re doing everything we can right now to prevent that from happening. US officials would not say how long the ban would last, but the Dubai-based Emirates airline told AFP that it had been instructed to enforce it until at least 14 October. “The restrictions are in place due to evaluated intelligence and we think it’s the right thing to do and the right places to do it to secure the safety of the traveling public,” a senior US official said. The US officials, speaking on condition of anonymity, refused to discuss the “intelligence information” that led the Transportation Security Administration (TSA) to issue the order. The US official would not go into detail about which attacks had raised fears, but one cited an incident from February of last year in which suspected Somali Islamists blew a hole in the side of a Daallo Airlines passenger jet with a small device. Only the bomber was killed and the plane landed safely. “Evaluated intelligence indicates that terrorist groups continue to target commercial aviation and are aggressively pursuing innovative methods to undertake their attacks, to include smuggling explosive devices in various consumer items,” an official said. Airlines will be responsible for policing the cabin ban, and if they fail to do so, they could lose their rights to operate US routes. Email “Banning laptops on flights was prompted by 'credible' reports of potential IS attacks”. Feedback on “Banning laptops on flights was prompted by 'credible' reports of potential IS attacks”.